Tech researchers have a new theory on why flamingos stand and sleep on one leg. When it comes to Big Questions About Birds, here’s one that rivals those about chickens crossing roads and that whole chicken-and-egg quandary: Why do flamingos stand on one leg? Because science has yet to provide a definitive answer, Chang and fellow researcher Lena Ting investigated how flamingos are able to stand and sleep on one leg so easily for so long. 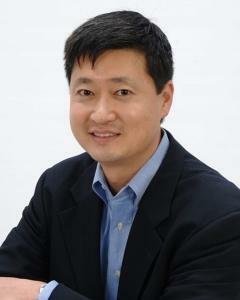 Ting is a professor in the Wallace H. Coulter Department of Biomedical Engineering at Emory University and Georgia Tech who studies balance control in humans and mammals. Their findings, published this week in Biology Letters, suggest a reason that differs from most previous suggestions: it’s about reducing muscular effort. Potential applications stretch from better robotics, orthopedic braces, and artificial limbs, to more focused treatments for neurological or balance problems. But Chang argues that simply providing clarity to long-standing questions about long-standing flamingos has great value as well. Surprisingly, Chang says, given how long the question about flamingos has been around, “there hasn’t been a whole lot of research done.” Others have suggested that the birds engage in this behavior to avoid muscle fatigue or to conserve body heat. Chang and Ting studied live birds at the Zoo Atlanta flock, one of the largest breeding flocks of Chilean flamingos in the U.S. They also used two cadaver birds from the Birmingham Zoo and flamingo skeletons from the University of California at Berkeley’s Museum of Paleontology. Zoo Atlanta and Georgia Tech Institutional Animal Care and Use Committees (IACUCs) approved all procedures using live animals. No animal was killed or harmed for the purposes of the study. Their research shows that a “passively engaged gravitational stay apparatus” helps the birds support their weight and maintain balance while on one reed-thin leg. The bird’s specialized anatomy, clever posture, and gravity combine to give the flamingo this ability, which does not involve bones locking into position. Chang says it’s more like a hammock or sling than a lock, but it does require the unique anatomy of flamingos. The “passively engaged” part of the flamingo’s gravitational stay apparatus is exactly as it sounds: It requires minuscule, if any, active muscular or nerve control, Chang adds. All that contributes to biomechanics that might actually require greater muscular effort if not for the flamingo’s ability to “stay” in a pose, which flamingos can get out of easily in flight-or-fight situations. A one-legged standing test, actually termed a “flamingo test,” is used to diagnose human balance disorders with the help of pressure plates, instruments that measure balance, force, and other data. Humans are usually more than willing to stand on pressure plates. But flamingos? They tend to squawk at things foreign in their environment. “The zoo didn’t want us to interact with the adult flamingos because they don’t handle change in their environment very well,” Ting says. 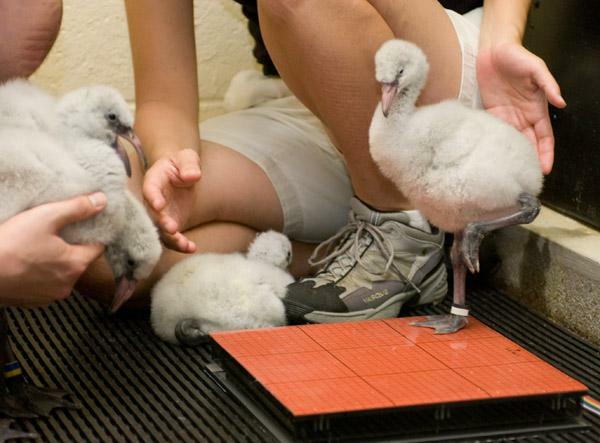 But zoo workers could handle juvenile flamingos and placed them near the plates after they were fed, hoping that postprandial sleepiness would yield measurable data. 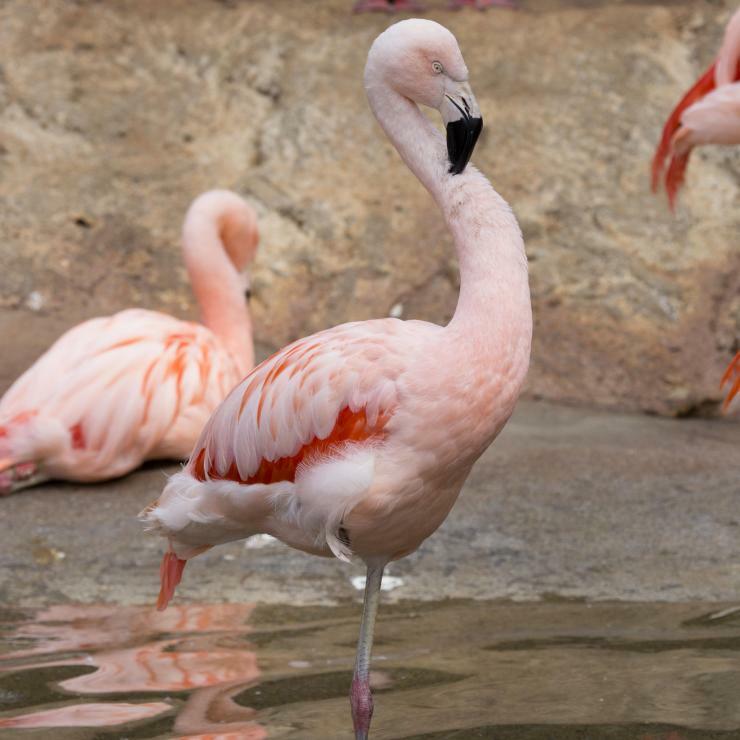 Can flamingo biomechanics help treat human movement and balance disorders? 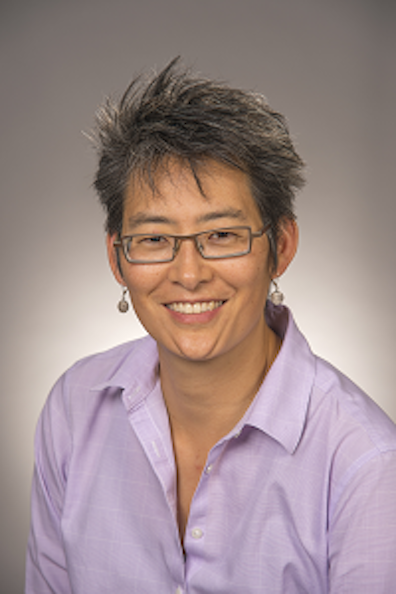 “If we know how much is passive mechanics and how much the nervous system has to control, it puts researchers in a better position to treat people,” Chang says. Flamingo biomechanics can mean better wearable artificial limbs and longer battery life for stability supports.